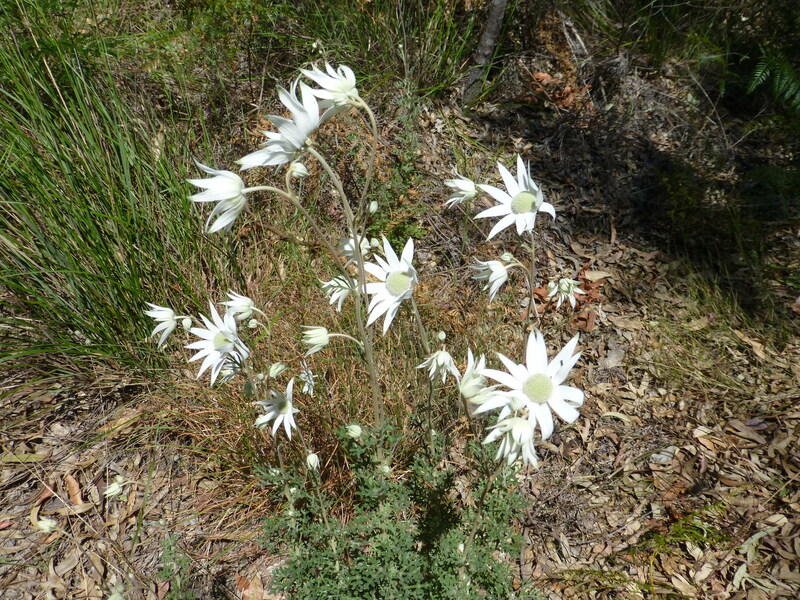 Flannel Flowers are one of the few native plants that have been honoured by their appearance on Australian postage stamps. Their simple beauty is a delight. 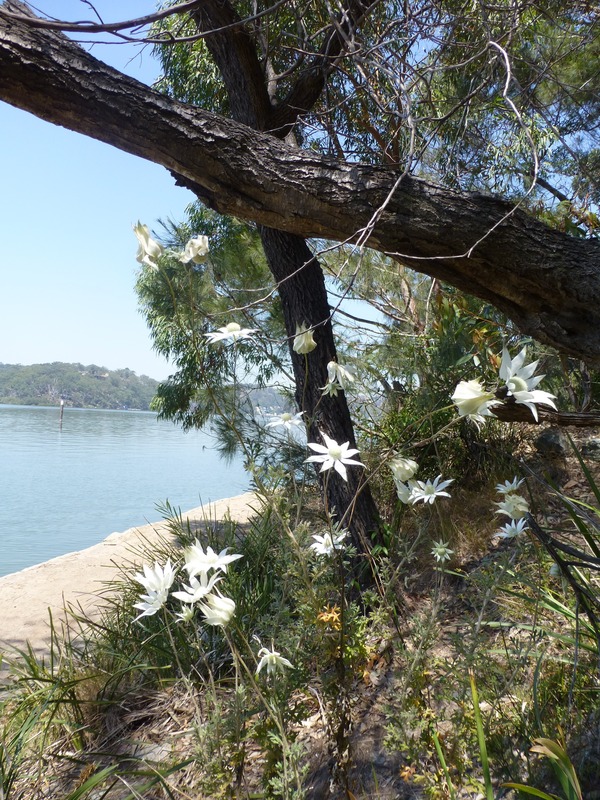 Currently, they are in flower in our local park, and have become one of the highlights of our going to visit. By the way, here’s a link to my third post on my new blog. Thanks go to those who visit! 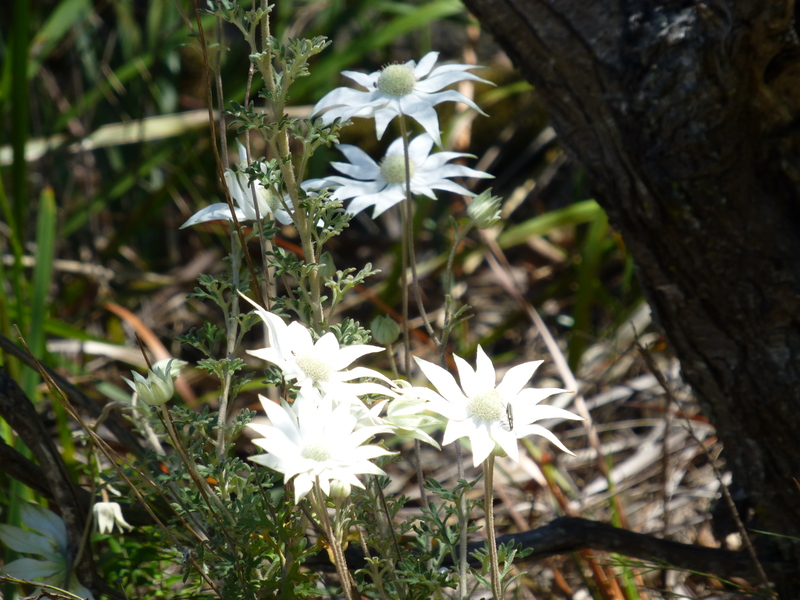 Just yesterday I spotted a clump; a clump of Flannel Flowers. 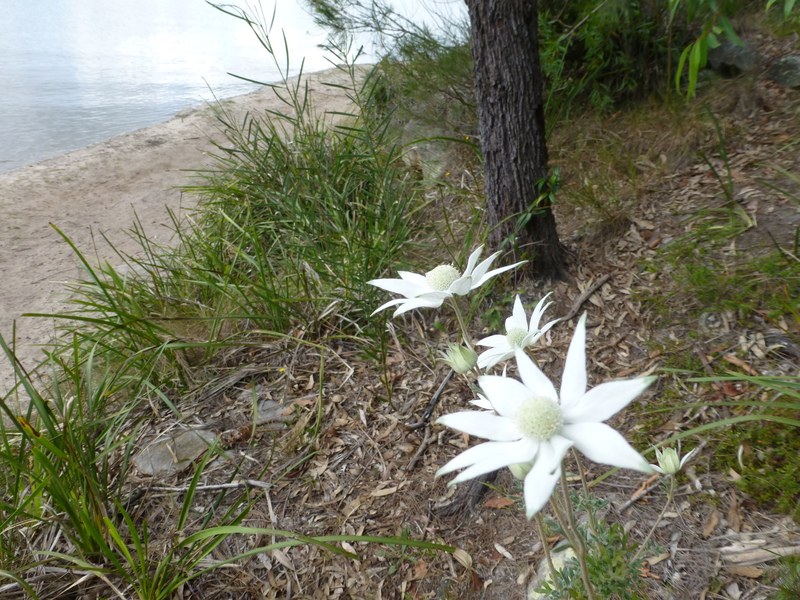 I thought I’d seen the last of these pretty Australian wildflowers until after winter had been and gone, but there it was, soldiering on. I must own up and say that I’ve cheated: this photograph was taken months ago when their display was in its prime. 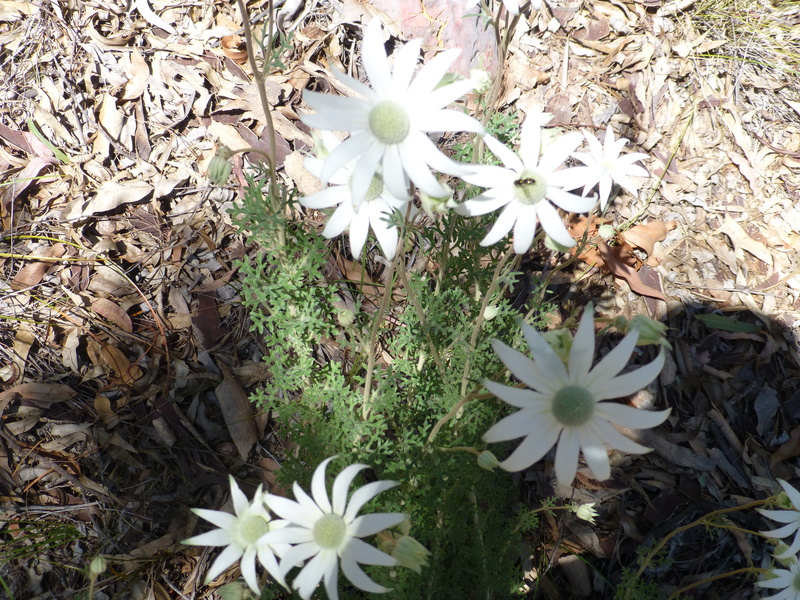 Nevertheless, the specimen I saw was a reasonable one though it did have fewer flowers. The simple beauty of these flowers makes them one of my favourite blooms. Almost every day I take Chicki for a walk along the track beside the river. One day, not so long ago, i decided to climb up a little to capture this scene. Luckily, Chicki co-operated. She remained quite calm while I secured her to the ground by putting one of my feet on her lead. The result is this photograph. 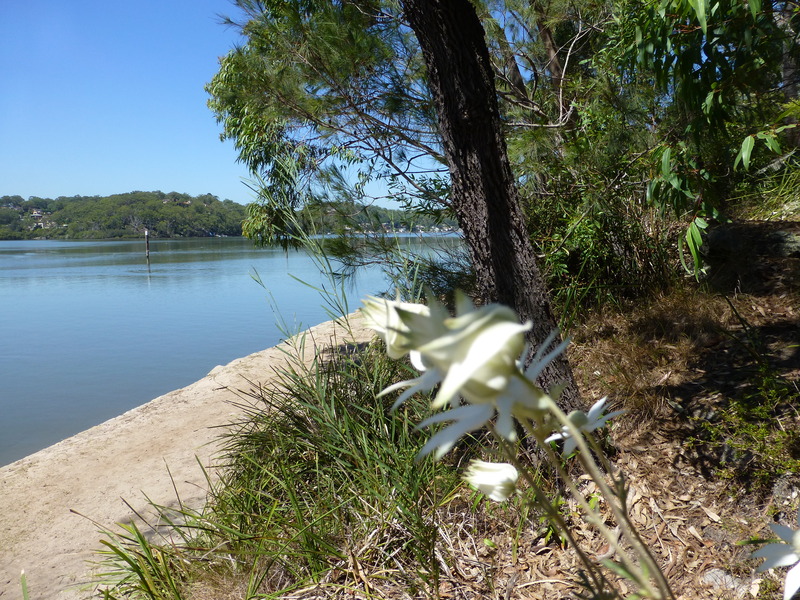 Where the bush meets the river. I flatter myself that it’s quite lovely. Hope you agree!